Review Summary: Delhi figures neither as a metaphor nor a character in the film other than being the name of the highrise apartment. 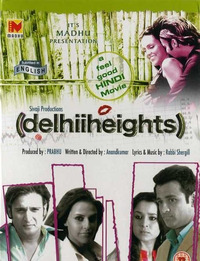 Delhi figures neither as a metaphor nor a character in the film other than being the name of the highrise apartment. Tum Itna Bolke Thak Nahi Jaate" this concluding statement by Neha Dhupia when Jimmy comes to ask forgiveness from her pretty much sums up what DELHII HEIGHTS is all about. There is so much of talk with less of drama and some meaningful action happening throughout the course of the film that it is but obvious for an audience to get restless."